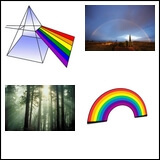 Here you'll find a variety of leveled texts that teach students about the properties of light. Light is all around us. It travels from the sun and gives us food and warmth. Light is made of particles of electromagnetic energy called photons. Light travels in waves. Nothing moves faster than light. It reflects and refracts. 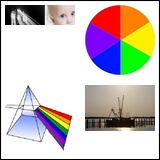 Light lets us see objects and colors.